As ditto when Domenicali was queried upon the current lack of Italian drivers in F1 he replied with the following. As its somewhat funny to Mwah, this somewhat controversial topic over the lack of Italians on the Grand Prix grid, since after all I believe that France is actually the sport’s birthplace, albeit many feel its Italy thanks largely to Enzo Ferrari and the almighty Alfa Romeo, Lancia and Maserati concerns... Before those Bloody Brits joined the party! As although many Italians have raced for la Scuderia over the years, the latest duo suffered indignantly behind the wheel of Ferrari’s disappointing machinery, as the names of ‘FishyFellah, aka Giancarlo Fisichella and Luca Badoer spring to mind. Yet Italy has a very proud history of its countrymen and women racing in Formula One, with 98-drivers having raced to date, with 15 having won Grand Prix’s, along with two world champions claiming a total of three titles - while obviously la Scuderia is the most storied Constructor in the sport’s history with a remarkable 16 Drivers titles & 15 Constructors crowns to boot. And Italy also has the added bonus of having the most Gran Primo Piloto’s in the exclusive 200-starts club, with two of the four members astoundingly having started more then 250-times! As these drivers are: Riccardo Patrese; 256, Jarno Trulli; 252, Giancarlo Fisichella; 229 and ‘DuhCrasheris! 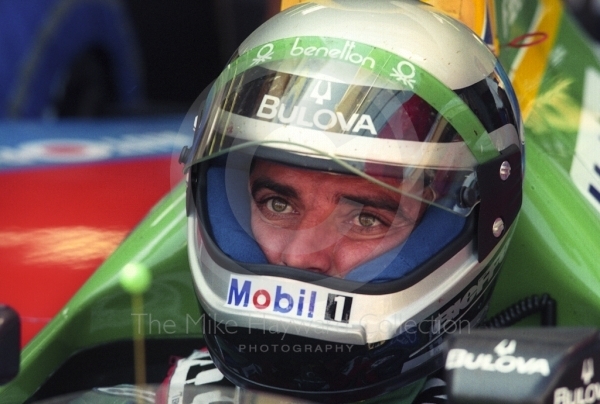 (Andrea de Ceaseris) 210 - with Patrese having won six times, ‘fishyFellah three and Trulli once. As this quartet’s staggering starts total equals 936; aye Karumba! And then there’s our neighbors down south, a la Viva la Mexico, who now after a void of nearly three decades, have seen their numbers double this year as did I read that correctly? Finland and Mexico have twice as many drivers racing as Brazil? Which once was a Formula 1 driver factory... As wouldn’t it be surprising if Brazil wasn’t represented upon the grid in the near future? Does America really need a Home Grown talent to root for in Formula 1? It’s Not My Fault, Honest! Gone Green Sea Turtles spotting!